TRELOCK folding locks are characterised by their strong, flexible hinge pins (security link). Thanks to the convenient click-in function of the FS 200 TWO.GO® and FS 300 TRIGO®, these locks can also be effortlessly locked in the dark. 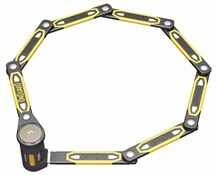 The vibration-proof bracket makes for easy transport. 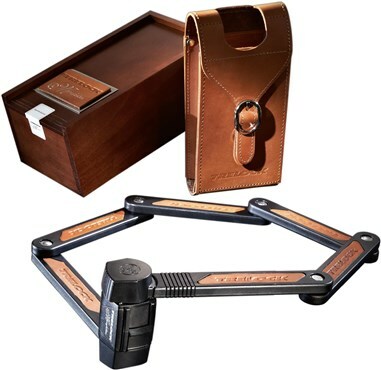 TRELOCK is extending its successful folding lock range. 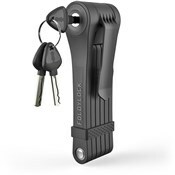 The folding locks of TRELOCK's security levels 2, 3 and 4 are now also available in a length of 100 cm. Ideally adapted to the needs of cyclists who need to lock their bicycle to a larger object, such as a lamp post. FS 460 COPS® with the TRELOCK IN-X® inner race cylinder, corrosion protection and dust cap is also new to the range. With its elegant design, the new FS 460 COPS® offers security against professional thieves.